Already have an outer shell mitt and just need a liner? We have white or black mitt liners. 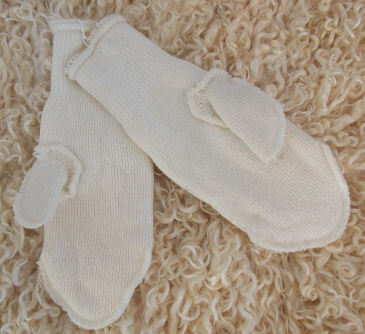 They are made with 75% Kid Mohair and 25% Nylon. Measurement is based on inches from tip of middle finger to the bottom of your hand where it meets the wrist.